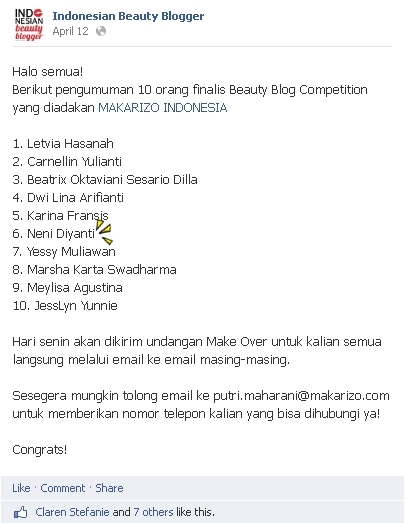 By the way, are you still remember about me joining MAKARIZO Beauty Blog Competition? I've written some postings about The Uniquely Chocolate Sensation Talk Show and some reviews abot MAKARIZO products to join the competition. And guess what?? 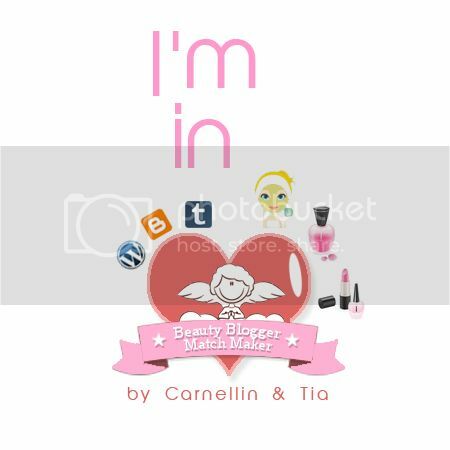 I've chosen to be a finalist (out of ten finalist)! Yay! The announcement from IBB fan page on Facebook. 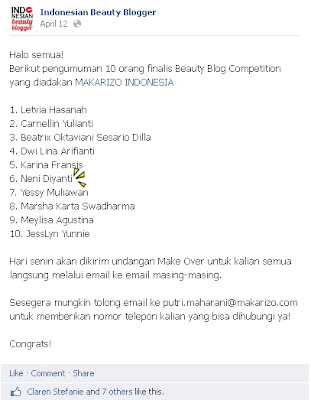 I'm number #6 on the list ; Neni Diyanti. The announcement from IBB twitter. I'm @QIUDY13. 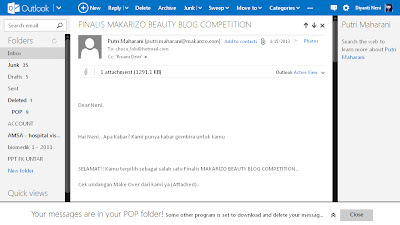 I've been told to wait an email from MAKARIZO on Monday (because it was weekend when the announcement given) for confirmation about the winning. And I was like waiting forever for an important email. 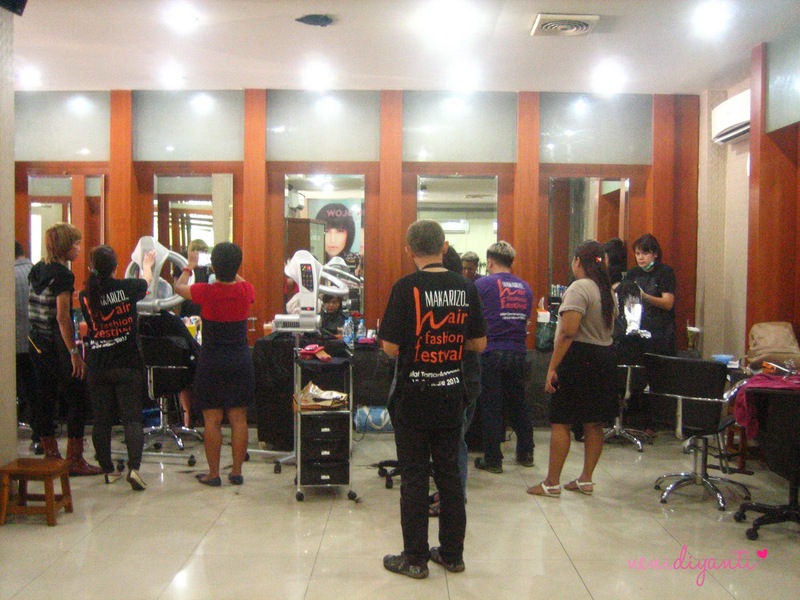 As a finalist of MAKARIZO Beauty Blog Competition, I can get a free hair makeover by MAKARIZO and I should decide whether I want coloring / perming / rebonding my hair (all done with MAKARIZO products off course and it's including cutting + styling). 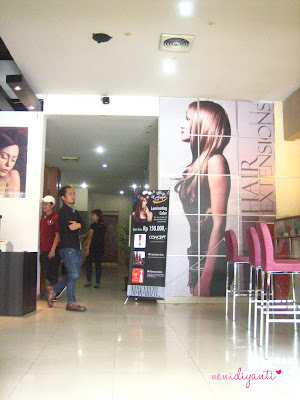 Honestly, it was a hard decision for me because makeover my hair won't be same like makeover my face which can easily removed. 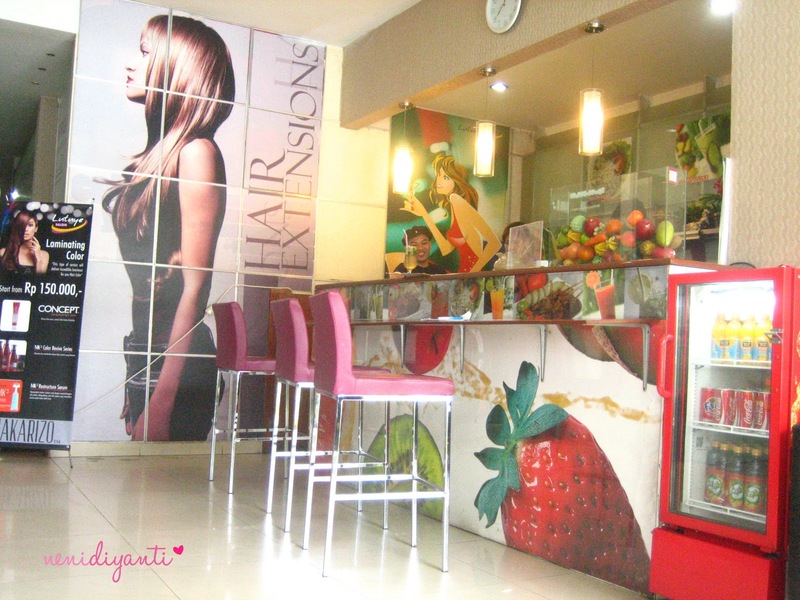 And MAKARIZO challenges me to take a dramatic hair makeover by giving that (only) three options to choose. 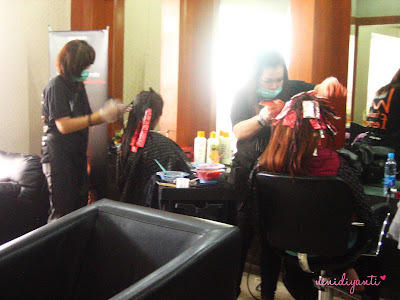 About rebonding option, well I've done several hair rebonding or hair smoothing regulary (once every 6 months or once in a year) since I was in elemantry school (6th grade), so if I chose rebonding, it won't be a challenge for me. I also have curled my hair with heat curler or sponge curler for several times and I don't think to choose perming as my option. Because I love straight hair and I have chubby face so having curly hair will just make my face look more chubby. Beside, I can't get V-Shape camouflage with curly hair. Then the last option is coloring, right? Well, this is also a hard choice for me. I love my black hair and I never dye my hair in my entire life. 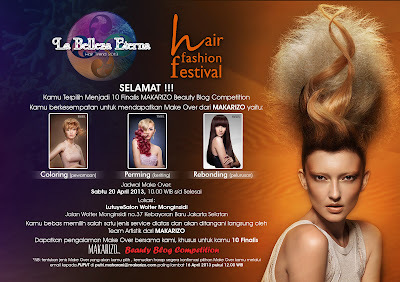 Though, I really love my black hair but I think I should take the challenge to coloring my hair. Yes, because the goal from hair makeover is to make your hair looks different than usual, right? Then if I kept my black hair, who will notice if I ever had a hair makeover by MAKARIZO? Okay, I decided my choice, which is coloring. I reply the email with my full name, mobile phone number and my choice. Then I got a call from Ms. Putri Maharani D-2 for re-confirmation about hair makeover and my choice. The MAKARIZO hair makeover was held at Lutuye Saloon Wolter Mongonsidi in South Jakarta. Well, it's quite far from my house. 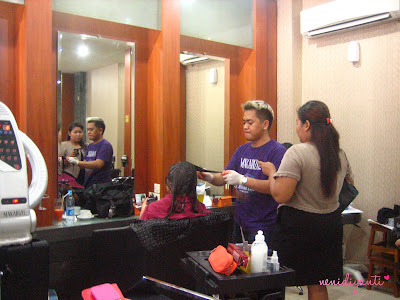 My house is in East Jakarta and the salon is in South Jakarta. I went there at 10.30 AM on the day with my boy friend and we decided to have a brunch at Blok M Plaza. Me and my bf arrived at Lutuye Salon at (around) 12.30 PM and I was waiting for about an hour until my name got called for a hair makeover. 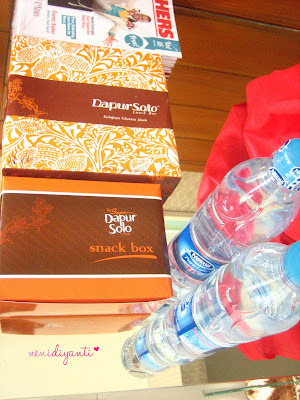 While waiting, MAKARIZO team gave me a lunch box and a snack box plus two bottles of mineral water (one for me and one for my bf, MAKARIZO team is super nice and kind to count my bf too). Both snack and lunch box are from Dapur Solo and look so yummy (I opened it for awhile haha). 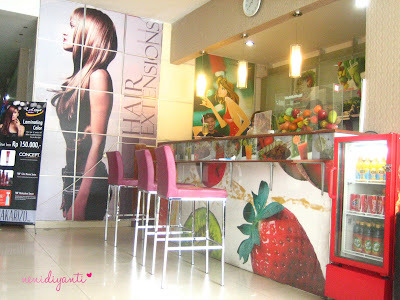 But, I already have my brunch so I'm full at that time and decided to eat them after my hair makeover done. 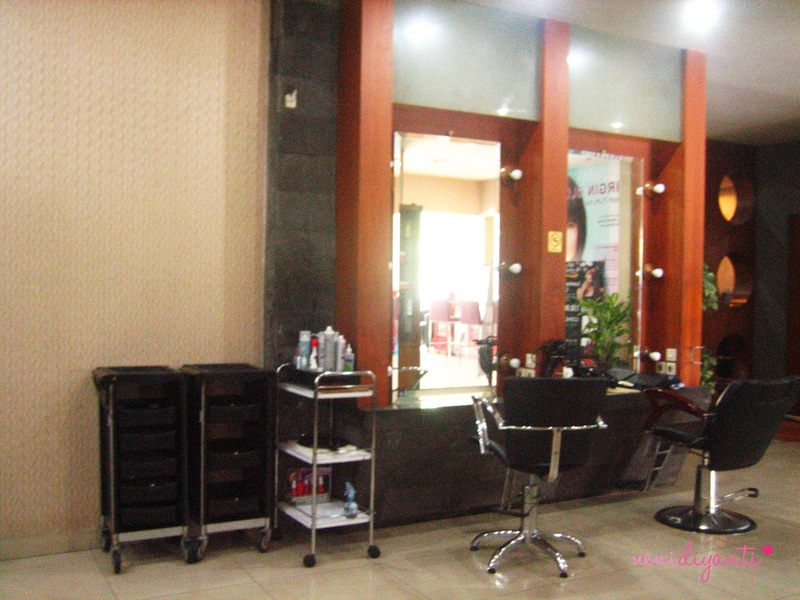 By the way, before my name got called for a hair makeover, I took some photos to tell you how Lutuye Salon looks like. 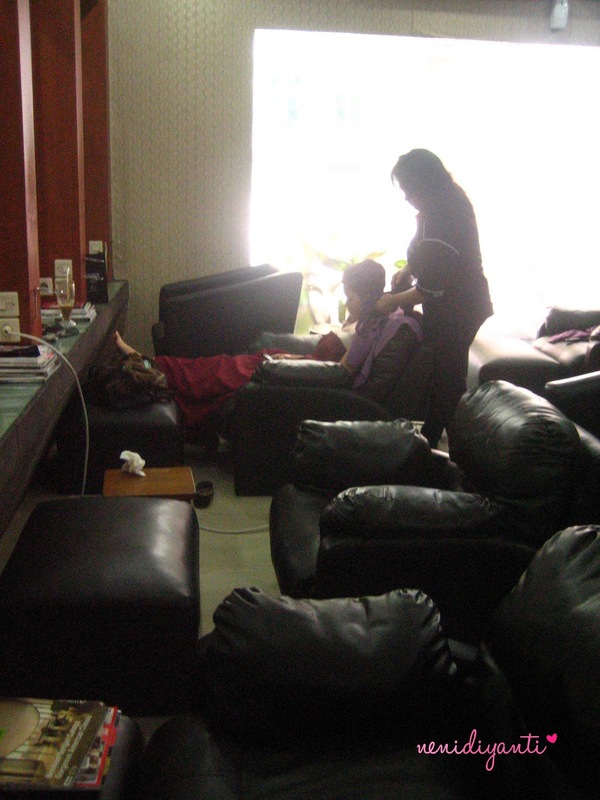 It's a big and cozy salon with a mini cafe and a toilet (psstt.. the toilet is only one and it's both for man and woman). Beside took a photo about salon interior, I also got a chance to take some photos about hair makeover process session #1. 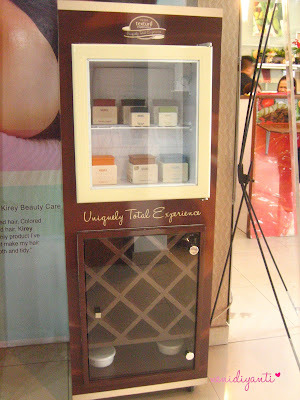 I noticed there was ci Carnellin and some other beauty bloggers that I recognized their face but don't know their name. Haha, I'm so sorry, dear. Next time, I have to remember their name. When I saw this machine, I was like... WOW! 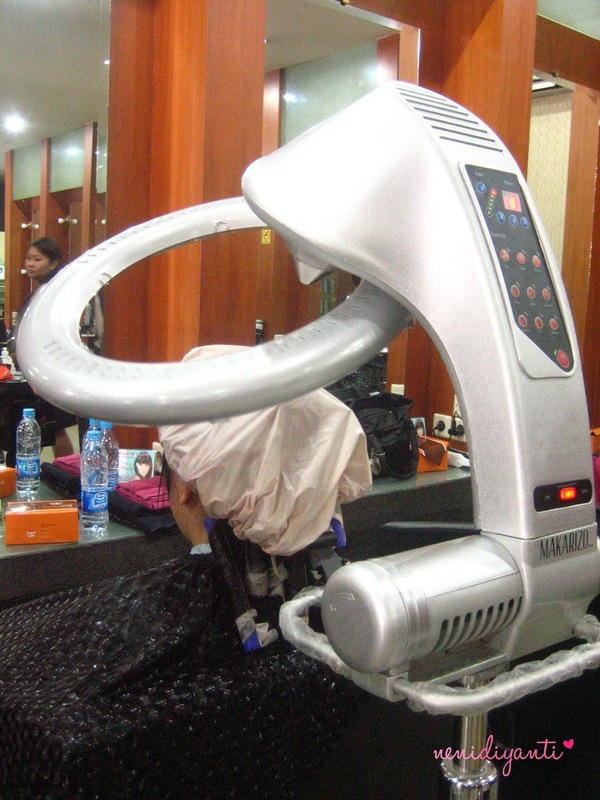 MAKARIZO brings the latest technology from the other galaxy in universe! 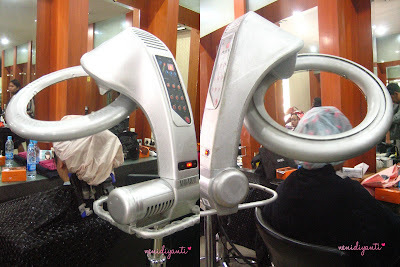 #LOL Yea, I was so confused and have no clue about this machine until Ms. Wiwik (read my next post to know her more :p) told me that it helps perming cream to absorb well into hair. 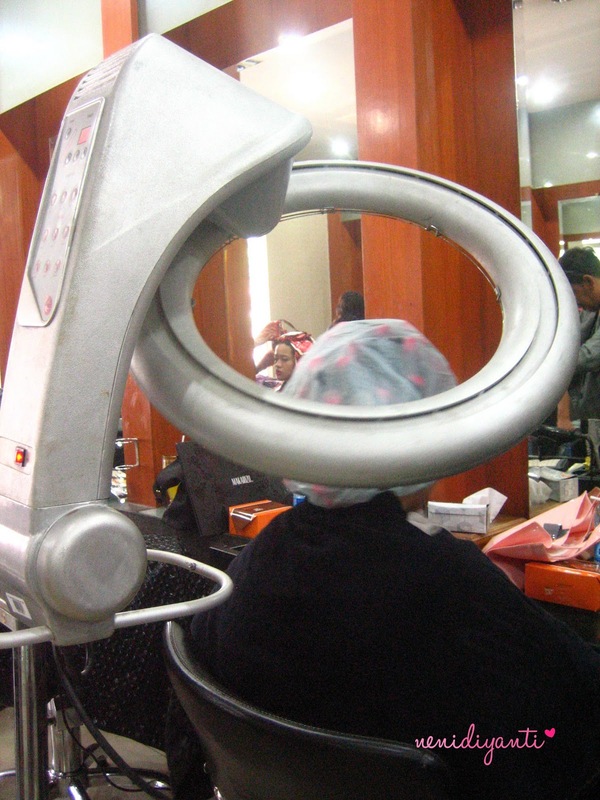 So, it's for perming process. She isn't a beauty blogger who got a hair makeover, by the way. 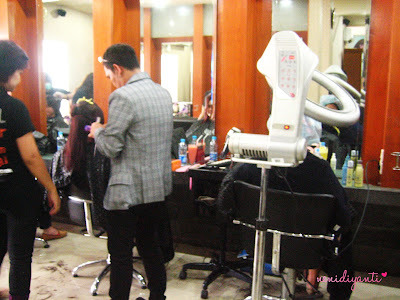 She is a Lutuye Salon's customer who got hair creambath on that day. Look at those puffy sofas, look so comfy, right? 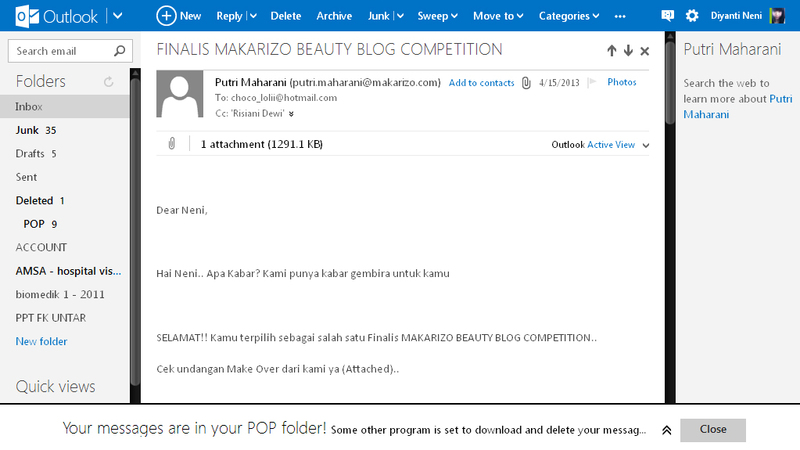 After waiting about (less than) one hour, finally MAKARIZO team called my name! Yay!